"Do I have Autoimmunity? Do I Have Leaky Gut?" If you found this page you have already done a lot of homework, otherwise you wouldn't have known to search for autoimmunity or leaky gut and the relationship of autoimmunity, or leaky gut to your many symptoms such as food sensitivity, allergies, or indigestion. 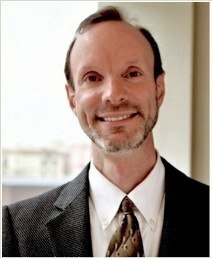 You've likely been told that you don't have celiac disease (an autoimmune disease), so chances are you have been mislead, and dissuaded from finding the right path to feeling better, all from well-meaning doctors who simply don't know how to detect, or treat your autoimmunity, whether it manifests as an autoimmune disease or not. Those same doctors who mean so well, and know so little about autoimmunity, also tell you that your food choices and diet have nothing to do with your symptoms. That's Nonsense. Gluten reactivity or cross-reactivity is still possible, even without a celiac disease diagnosis. Here's a simple do-it-yourself investigation about your autoimmune triggers: Ask yourself these questions: Do you eat perfectly shaped pieces of processed meat, processed chicken, or processed fish? Examples are chicken nuggets, fish sticks, and imitation crab. If you do, be aware of feeling a lot worse within a few days of eating those things. Do you? This may not be an immediate reaction. You'll have to wait 2 - 3 or even up to 8 days to see how you feel; not an easy task. Do you have unpredictable food reactions? Unpredictable abdominal swelling and bloating? Increasing frequency of food sensitivity? Aches, pains, or swelling throughout your body? Frequent bloating and abdominal distention after eating? If some or all of the answers are yes, then we have to understand that your body's reaction to food is of primary concern. Additionally, we have to correctly assess if you have leaky gut (leaky gut syndrome). If leaky gut is present, we have to take the correct action regarding your condition of leaky gut. This is not a time for a do-it-yourself strategy. There are many aspects to leaky gut. For a doctor to say that what you eat has nothing to do with your symptoms is really an insult to your intelligence. There are new blood tests to check for autoimmunity, leaky gut and food sensitivity. I can order these tests for you when you are under my care, but there's only one laboratory ° that does them, and because they are so new there is no insurance coverage to reimburse you for the costs. But this is good. If insurance were to ever get between you and these tests, it would probably triple the cost. "Doctors would only know about these new lab tests if they were studying leading-edge scientific literature about autoimmunity. This is not common." Allow yourself to accept this fact: there are new tests (from ° Cyrex Labs) that your doctors don't know anything about. Not having these new diagnostic tests at his, or her disposal, your doctor might even suggest surgery before all the contributing factors about your true autoimmune condition are really discovered. Doctors would only know about these new lab tests if they were studying leading-edge scientific literature about autoimmunity. This is not common. Autoimmunity is not the same as autoimmune disease. Since autoimmunity is not a disease yet (not enough tissue destruction yet), there are no prescriptions available to treat your autoimmunity, and therefore your doctor will have no tools (their prescriptions) with which to help you. They could only try to cover your symptoms, but your condition would remain the same. We don't have that limitation here at my office in the greater Los Angeles, Beverly Hills area because we can use proper functional medicine supplementation and lifestyle choices as tools to help you. We never need to rely on symptom-numbing drugs, or surgery to help you. It generally takes decades before medical practice catches-up with the scientific forefront. That means the research being published today won't reach your medicine cabinet for at least another 20 to 50 years. 50 years is really the best estimate; I included 20 years just to be hopeful. However, you don't have to wait. We use nutrition response testing—time-tested, non-invasive, in-office tests—that can indicate if you have leaky gut. Then you can know, once and for all, the nature of your autoimmunity, where it comes from, what it affects in you (like leaky gut, autoimmune thyroid, Adult ADD, neurodegeneration, brain fog, or chronic sciatica), and the most important thing of all: what you can do for yourself. You found this article out of hundreds of thousands on the internet. Allow yourself to take action today. This is your wake-up call. When you come under my care, you don't have to wait anymore to protect yourself from autoimmue and leaky gut complications. We can even start without blood tests. You can avert disease, prevent disease in the first place, and take control over your own health.